Introducing L'Oreal Paris x Balmain colour riche, featuring their limited edition collection. 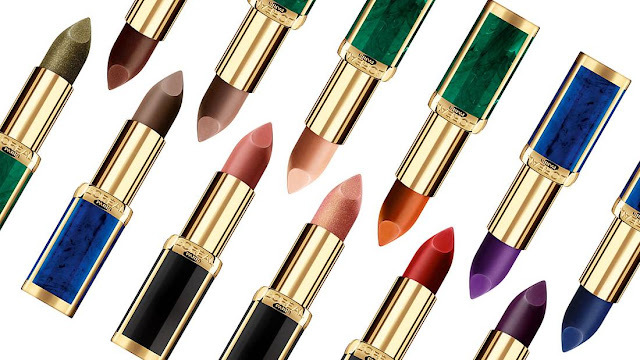 Get ready to be amazed by the latest L'Oreal Paris x Balmain Lipstick collection. There are 12 fashion forward lipstick shades that have been designed by Creative Director, Olivier Rousteing. 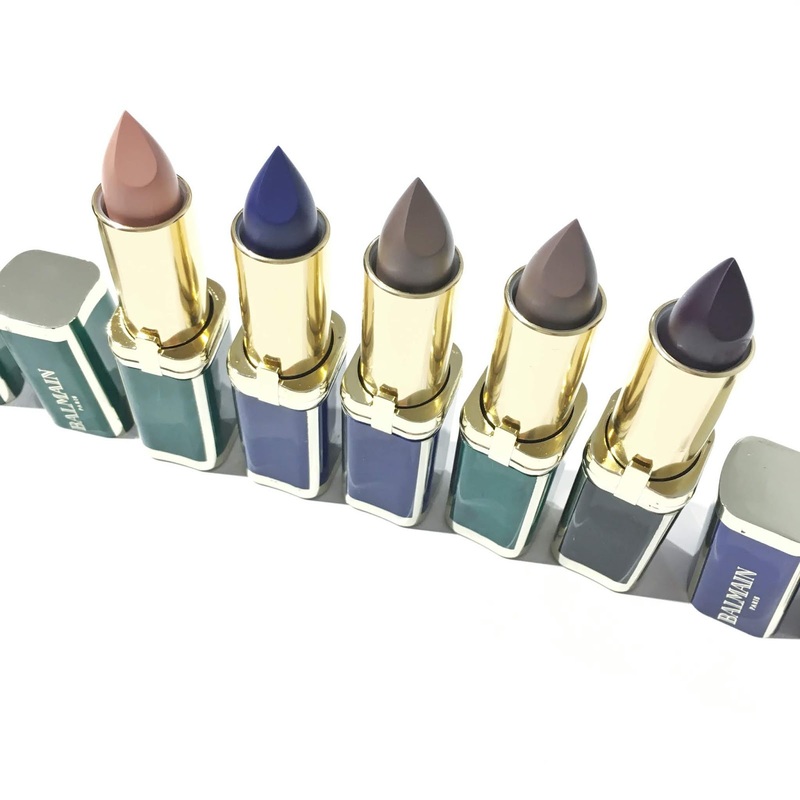 These gorgeous lipsticks come in a couture matte finish shade, and their packaging is simply gorgeous looking. Each packaging is distinguished by 'tribes', conveying various forms of femininity that are associated with an earthy stone - i.e. Green marble for SAFARI beauty, Onyx for glamourous COUTURE and Malachite for edgy ROCK. Each of the shades carry a different attitude to them, plus it's all about bringing women together and celebrating diversity. As I was swatching these lipsticks, I found that they were very pigmented, creamy and matte looking. I love the different tones of shades being offer by the L'Oreal x Balmain range, as you can mix and match to all types of occasions. Overall, I found these lipsticks to be incredibly nourishing and nowhere as near as drying which is essential. 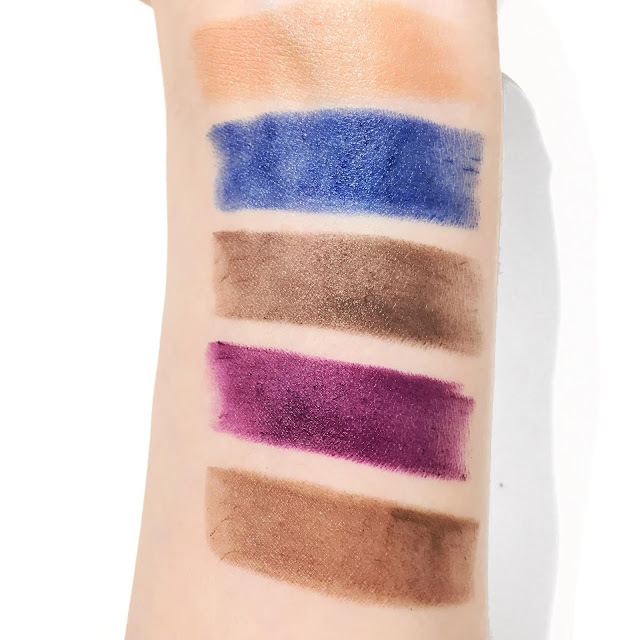 There are 12 shades in total from the range which you can check out - so there's definitely some great options to play with your makeup look. My favourite shades has to be Liberation (featuring a lovely dark purple shade) and Glamazone (a warm toned brown which looks magnificent on the lips). The L'Oreal Paris x Balmain collection is available in 12 shades from June 2018 in selected pharmacies. RRP $24.95 each. Have you tried out any from the new range yet?